Why wooden furniture was gifted in olden days? In ancient times when the sages were aware of the vastu principles, they used to use them in day-to-day life as well. Vastu for them did not mean only the architecture part. It actually meant that they wanted balance of all the forces of nature in everything they did. Over a period of time, the vastu principles became a part of the culture and all actions done by even ordinary people were in line with vastu. Even the rulers had royal astrologers who would give the advice about these things. One of the major areas of daily life is the giving and taking of gifts. Even in ancient times, this was prevalent. But it was limited in the sense that the availability of items in those times was limited and people used to lead a simple life. But the gifts were of prescribed nature for specific occasions. Why? The reason is vastu. These prescribed things were gifted and were accepted, as they would change the pattern of energy and natural forces for the person taking them. Over a period of time these things became common and are even visible in the form of customary gifts for occasions. For example, in most of the cultures it is customary to gift clothes on the birth of a child. In olden days, wooden furniture was also gifted a lot more than these days. Wood if considered as energy – is constantly in motion, driven to grow and expand like the green shoots bursting forth in spring. The predominant energy and significance with wood, is being appreciated for being firmly grounded with deep roots at home. From this place of stability and strength, potential is unlimited, and the capacity to succeed against all odds. Color symbolisms of associations with wood are green and blue. Converting this wood energy into a commercial plus usable design form, and forming a basic structure, like furniture, artifact, sculptures etc. Wooden furniture items were and are still gifted by a many people but how do they affect the native is not known to many people. Wood is ruled by Jupiter and as such gifting furniture will bring auspicious forces in the house and will bring prosperity and luck to the inmates of the house. Furniture made of wood suggests the influence of Jupiter and the furniture made of iron suggest the influence of Saturn. 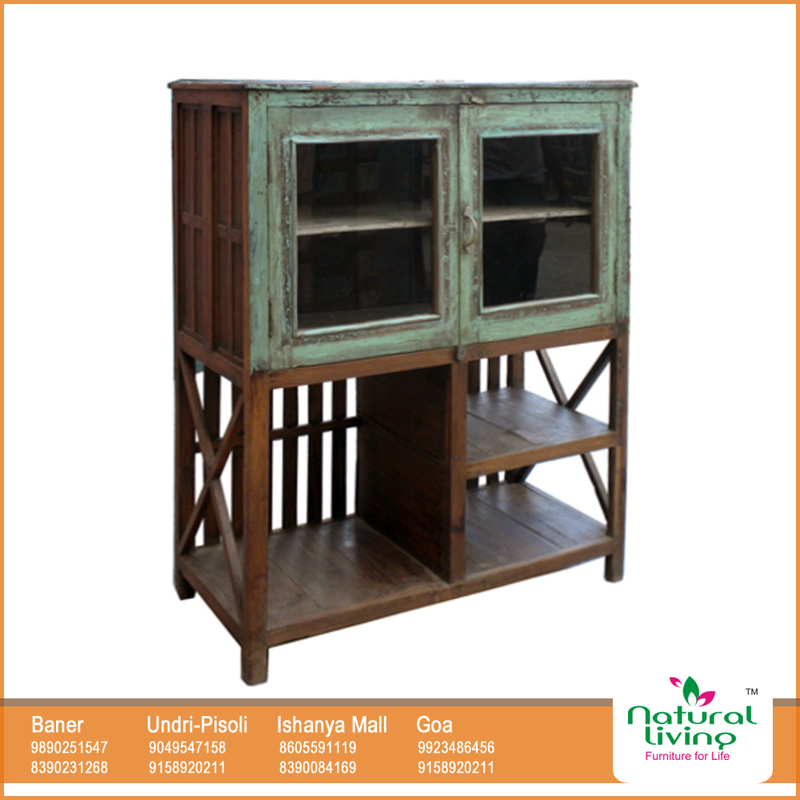 A combination of wood and iron is a lot common while making furniture with Sheesham wood. The craft-work is called ‘Jaali’ work. The craftsmanship that went into making of wooden furniture was always hand-made, which gave that personal touch to the idea of gifting. Though, it’s said that the choice of furniture as a gift to someone must be done with consideration. Even if the study of feng shui is put aside, one needs to be alert of the toxins that reside within old furniture, such as leaked mercury in old clocks or formaldehyde glues in furniture made of layers of wood. Many of these hidden toxins can cause health problems. It is of utter importance that wooden furniture is always re-energized or if spoken in modern terms is always maintained nicely. At present exchange of gifts in the society, specifically in India, is becoming an essential part of our relationship with others. There are occasions like marriage, birth days, festivals, housewarming etc – and there is no limit to the occasion to gift someone with a wooden piece of furniture, artifact or just a small box to hold the tiniest of your memory. Exchange of gifts has been a normal phenomenon among the human beings from time immemorial. In ancient times, our rishis and munis were fully aware of the significance of the day-to-day activities of men and women and the way it could affect the entire balance of one’s life. Thus, even the giving of gifts can be determined by taking into consideration the planetary influences. In the present day context, a planetary consideration on gifts can take on a priority over making a choice., What makes the process very complicated is making a choice of a proper gift. There is an infinite variety of things available in the market. One can choose a gift of any color or of any price. In each category of gifts there are innumerable aspects. The general gifts include: furniture, cosmetics, clothes, sweets, jewellery, stationery items, electronic items and even property. Sometimes even flowers suffice. It has also been observed that certain gifts are being exchanged these days for no specific occasion. The person should be aware of the items which are being gifted. The person accepting them should also be careful these days as there are innumerable items which may not pass the test as gifts as per the canons of vastu. This has a strong correlation with astrology as well. Astrology also tells you the effects of various planets. The effects of natural forces of these planets affecting us decides our way of thinking and the way we work in society. This is unique to every individual. Hence, this aspect must be given due consideration while selecting and taking gifts. An item rejected by one is liked by the other is an indication that different forces operate for different people. This entry was posted in Uncategorized and tagged Astrology, Furniture, Furniture Store in Pune, Gift, Gift in Old Days, Gifts, Hardwood, India, Jupiter, Natural Living, Natural Living Pune, Pune, Rosewood, Saturn, Sheesham, Teakwood, Vastu shastra, Wood, Wood craft, Wooden Furniture. Bookmark the permalink.